Easter is nearly upon us and there are plenty of anglers busting to get out and have a fish. With good Friday a traditional fish eating day, many will head out to catch a fresh feed to eat and there are plenty of options, weather dependent, of course. Having said that, the long term outlook is looking pretty good for Friday, with a sunny day and light winds. If you are looking for Tuna Eaglehawk Neck looks like the best option. 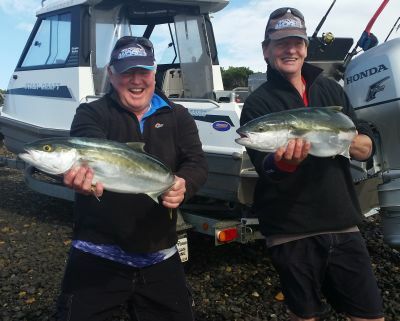 A charter skipper informed us that there were some big fish caught early this week and we know of a huge one that was dropped on the weekend. St. Helens has been disappointing on the Tuna front this year but there are big Australian Salmon in the bay and Kingfish are still being caught. The other piece of news is that there are some good sized prawns in the bay. 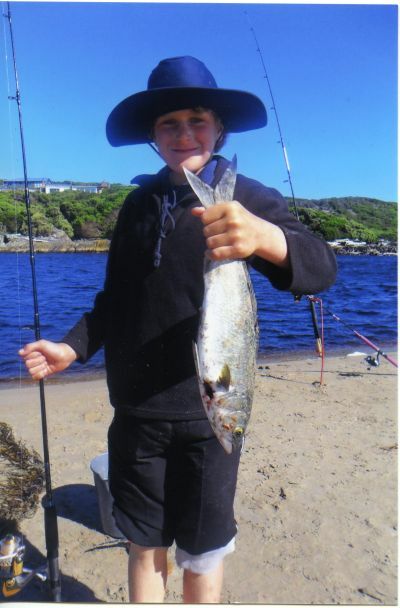 Silver Trevally, Bream and King George Whiting are also there in good numbers and will be sought after. There are some good flathead to be caught out about 40metres off Sisters Beach and Burnie. They would certainly be there in other places but we haven’t had any other reports in. Gummy Shark are also there to be caught if you target them. It was interesting to see that there was another huge Broadbill Swordfish, weighing 263kg, caught off the East Coast earlier this week. It’s certainly got a lot of Tasmanian Game anglers interested as well as a lot of interest from Mainland game anglers. Gamefish have been scarce in the St. Helens area. Eaglehawk Neck however, has been good with plenty of large Albacore Tuna being caught well over the 20kg mark and a few bluefin up around 30kgs. There have also been some bigger Bluefin Tuna being caught in the far south around Pedra Branca, Mewstone and Maatsuyker Island. One Hobart angler landed a jumbo 112kg bluefin last weekend. 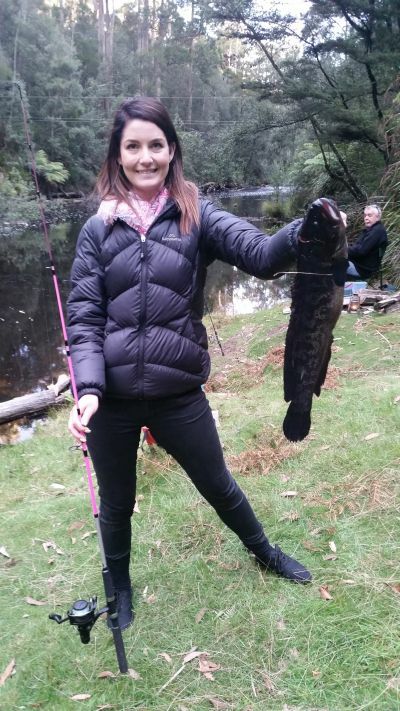 The March long weekend has arrived and there will be plenty of fishing to be done. The West Coast looks like it’s going to be fairly rugged weather wise asthere are westerly winds forecast. This will make the East Coast the better option. If you want to check out the weather for the weekend have a look at the BOM meteorology website, click on Tasmania and then have a look at MetEye. This is a great tool to look at forecast wind direction and speed, predicted temperature and rainfall and you can also check out the predicted wave heights. It is a very useful tool and you can have a look at any part of the state at 3 hour intervals for 7 days. There are some encouraging signs happening at the moment as far as fishing goes. With the weather becoming more settled it has allowed more fisho’s to get out and about and have a fish. There are a few grasshoppers on the water in rivers and this will only get better if there are more hot days. Saltwater is going well with Game fish being caught off the East Coast and gummy shark and flathead up this end of the state. Those fishing the lakes have been finding fish a bit hard to find there are however some exceptions. If you can be in the right place at the right time there are fish there to be caught. Eaglehawk neck is starting to build with some good sized Albacore Tuna being caught there last weekend. There were some good sized Bluefin caught further south near Pedra Branca. We also had an encouraging report of a couple of Bluefin Tuna that were caught in a net at Strahan. There were a couple more caught on rods and fish were sighted busting up on the surface. If the weather is reasonable the West Coast will be a good spot to try for a Bluefin. The wind has been blowing from the East for a while now and while conditions have been less than ideal on the East Coast, West Coast conditions have been fantastic. Stripy Trumpeter are one of the species being targeted and there have been quite a few caught. School Shark, Gummy Shark and Blue Eye Trevalla have also been in the mix. We had a report this week of a Stripy Trumpeter that was caught on a Dog Tooth Ika Knife Jig. 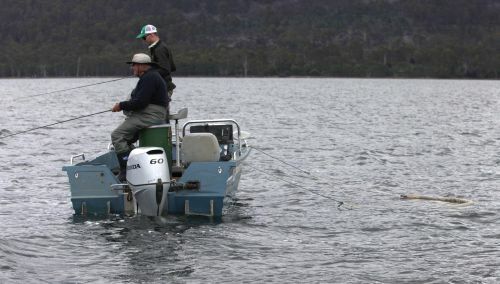 This method of fishing that has increased in popularity on the mainland but has been rarely used down here in Tassie. 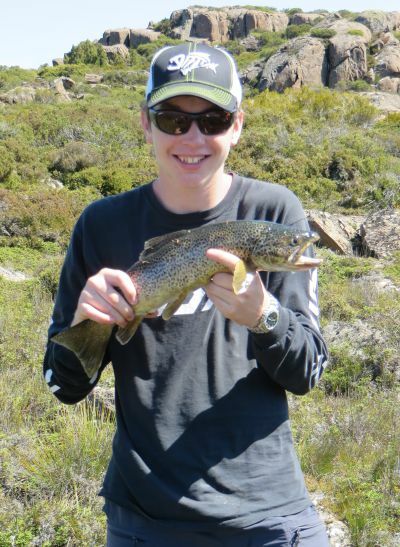 Expect to hear more as Tassie anglers embrace knife jigging, slow jigging and micro jigging. Anglers on the mainland have been finding it is a very effective and fun way to catch fish. Last year there were a number of Broadbill Swordfish caught off Eaglehawk Neck and St. Helens and it is set to continue this year. 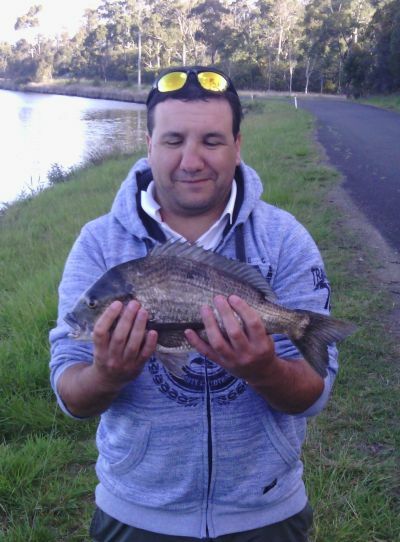 There was a good fish hooked and lost at Eaglehawk Neck this week and a couple were landed recently. With anglers targeting these fish there will be more caught and it seems that the pool of knowledge on how to go about catching them is increasing and being shared. Well that’s the Australia day weekend gone for another year and by all reports there was a fair bit of fishing done even though the wind did its best to hamper everyone’s efforts. Hopefully it will settle and allow for some serious fishing. Fishing in the highlands has been tough, mainly due to the weather, but there are a few places that are worth having a go at. With only a week to go Christmas is looming very quickly. There should be quite a few new anglers out on the water judging by the number of junior combos we are selling. If you are heading out for a fish at Christmas please do it safely as no fish is worth your life or serious injury. I was fortunate to spend some time fishing with Paul Worstling last week. He was in the North West of the state to film some footage for the next season of IFish. Paul was blown away by the quality of fishing we have here and I know he will be back to check out some more. 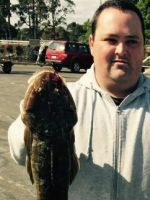 We fished in the Smithton area and caught and released some big Flathead and King George Whiting and had a brilliant day out. Judging by some of the chatter in the shop this week if seems that there was a lot of fishing being done last weekend. 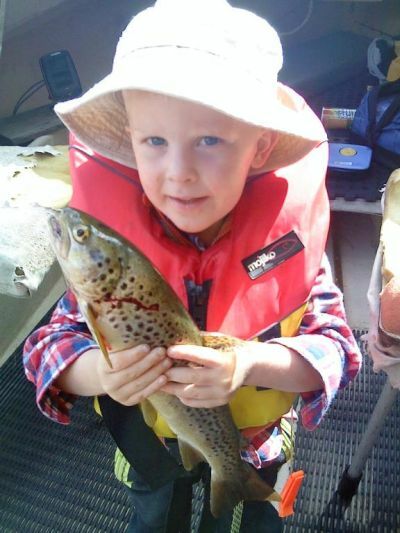 It’s a great thing that if you want to go fishing in Tasmania it is accessible to everyone. If you want to catch a trout there is a small cost involved in getting a licence and if you want to throw a line in the sea it’s free. All you need is some gear and you can fish as often as you like with little or no cost. The reward for this pastime is fresh fish for tea and it always tastes better when you catch it yourself. There are a few reports filtering in from Arthurs lake that are encouraging. The fish are in good condition and one angler reported a mix of fish from 4lbs to 1.5lb footballs. There are some dun hatches occurring in the cowpadock area and these will increase as we move towards Christmas. Duns are also hatching at Penstock Lagoon and Little Pine Lagoon. The wind is continuing to blow and it’s a recurring topic of conversation in the shop. There have been some opportunities to go fishing particularly in the early morning and those people taking advantage have been catching fish. If you are heading up to the lakes to go fishing there is a very useful initiative for you to check out from Anglers alliance. They have installed web cameras at the following waters: Great Lake, Arthurs Lake, Penstock Lagoon, Lake Burbury, Little Pine Lagoon, lake Augusta, Brumbys Creek and Four Springs. The web address to go to is http://anglersalliance.org.au. You are able to see what the weather conditions are like from the start of the day through to the time you look at the site. 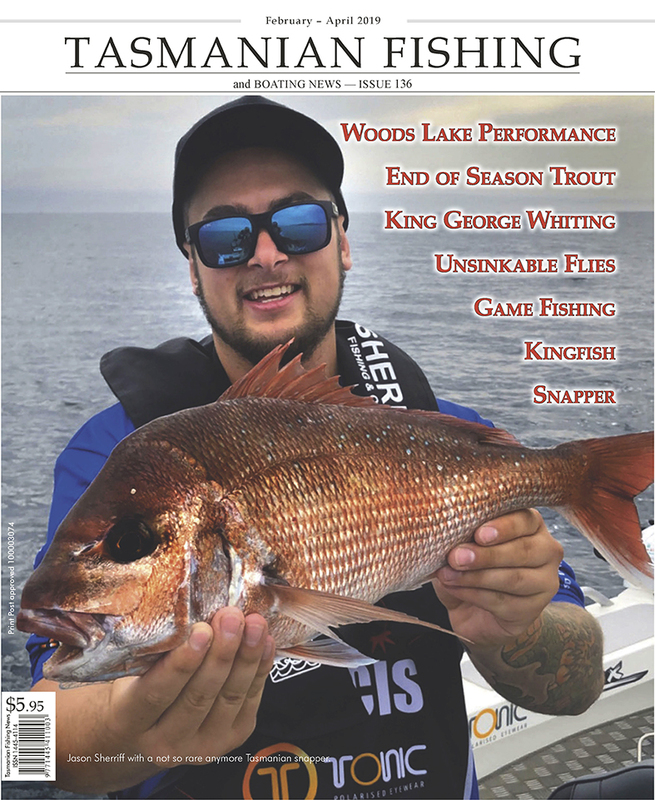 There is plenty happening in the world of fishing at the moment. 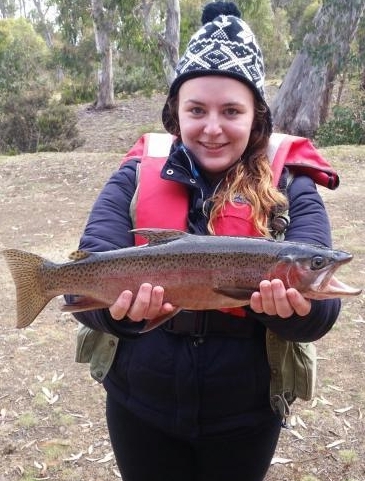 The lake Burbury Fishing competition is on again this weekend and it is sure to attract a good number of anglers from around the state. The rivers are well worth a look and trout are starting to feed off the top. 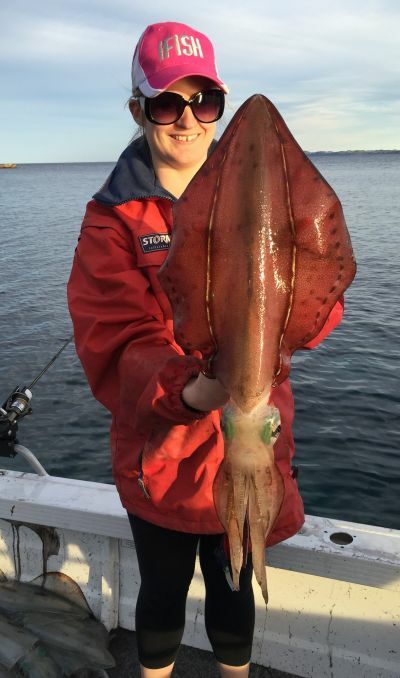 With the weather looking reasonable for the weekend I am sure there will be anglers out trying to catch Squid, Flathead and Gummy Shark. If you are keen to have a fish in one of the coastal rivers the Inglis, Leven or Mersey are three of the main destinations. You can also grab an angler’s access brochure from a tackle store, for the Mersey and Leven rivers to help decide where to go. Small floating bibbed lures, blade lures such as celtas and soft plastics are all lures that will catch fish. Fly fishers should try flies such as Royal Wulfs, Red Tags and Adams patterns. There are plenty of alternatives.